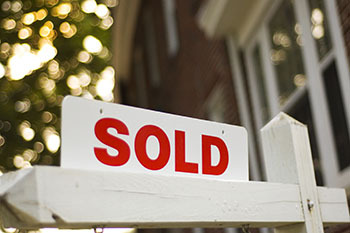 Thinking of selling your Cape Cod home? We make the selling process easy with our knowledgeable advice, enthusiastic service, creative marketing, and professional networking. Browse the links below for more information. Contact Us with any questions and to learn more about selling your home on Cape Cod. DescriptionOpportunity for developers and builders looking to create a new neighborhood on over 10.796 acres in a well sought out community in the Acapesket Rd., East Falmouth area. Option to also include 3 homes 4, 8 & 20 Lewis Street currently listed individually and neighboring this land. Rough engineered plans available, see image. Included in this acreage is 0 Old Bayberry Ln and O Lewis St.
DescriptionLandmark East Dennis Estate on over 4 acres of lush gardens overlooking Sesuit Neck. This magnificent 6 bedroom home is a gracious blend of antique charm and modern conveniences. The home features a first floor master suite with an open floor plan; gleaming wood floors, recessed lighting, generator, two full kitchens and updated ceramic baths. There is another full ensuite loft, custom leaded glass windows and hand painted murals. The original farmhouse has been fully restored offering a blend of antique charm with up to date ammenities for today's lifestyle. Exquisite attention to detail is found throughout this unique property. Totally private gardens, in ground pool, multiple decks and patios with breathtaking views of the marsh and Sesuit Neck sunsets. The perfect home to accommodate large gatherings with close proximity to Bay Beaches, Scargo Lake, restaurants and shopping make this a breathtakingly one of a kind offering. Substantial investment income potential. DescriptionLOCATION, LOCATION, LOCATION !!! Build your Dream home .3 miles from Bayview Beach, one of the Best Beaches on Cape Cod. Large Lot, 1.38 acres. House in is need of many repairs. Being sold 'AS IS'.. Information listed is deemed to be accurate. Buyer/agent should verify the information. DescriptionRanch Style Home Close to the beach. DescriptionRare opportunity to purchase a quality Grand Harbor built water view home in prestige Harbour Haven. Spacious ranch on a large corner lot enjoys nice views of Bass River and is just steps to a common dock (with mooring field) and a wonderful semi-private sandy Association beach. There's lots of space in this fine home which include the lovely bay windowed living room with gas fireplace, family room with sliders to an oversized deck, formal dining room with built-ins and kitchen. There are 2 large bedrooms, 2 full baths, a 2 car attached garage, full dry basement, hardwood floors and doors, irrigation system, lovely grounds, passed title V and lots more. Not many locations like this where you can enjoy boating, beaching and a salt waterview! Furniture negotiable. Great value. DescriptionDirectly across the road from the ocean beach sits this fine 4 bedroom, 2 bath cape with a breezeway, garage and full basement. You might hear people use the terms steps to the beach but this home is literally 100 feet from Sea View Beach. Peaks of the ocean. This year round traditional charmer features a living room with fireplace, updated granite eat-in kitchen, vaulted & beamed breezeway/sunroom, 2 bedrooms and full bath on the first floor and 2 big bedrooms and a full bath upstairs. There's hardwood floors everywhere, a deck, outside shower, 2 split A/C units, newer systems, fenced yard and lots more. Super year round, second or investment home. Superb opportunity for this at the beach location! DescriptionWALK TO DENNIS VILLAGE! Great location! Delightful 3 bedroom, 1 1/2 bath ranch with attached garage. Extremely well cared for home with hardwood floors, young windows, new 3 bedroom septic 2017. Bright kitchen with skylites open to dining area. Lovely living room with bay windows . Walkout basement and much more! Lovely setting on 1/2 acre. Close to northside beaches! Enjoy all the Dennis Village has to offer as you stroll to town for the great restaurants, shows and shopping! DescriptionSuperb Bayside built colonial on a quiet cul-de-sac not far from Route 6 and most anything on Cape Cod. Bright and open first floor features a large fire-placed great room. Kitchen with stainless appliances. Dining area opens to a deck. Formal dining room, full bath, and laundry on the first floor. Upstairs are the master bedroom suite with bath, plus 2 other large bedrooms and full bath. There's also a bright, finished, walk out basement as well! Attached garage. Hardwood and Berber carpeted floors throughout.,Natural gas heat, 2 year old septic system, private yard with southern exposure overlooking conservation land. Outdoor shower, storage space, and so much more. Hurry to see this fine home in upscale Cranberry Woods! DescriptionJust what you've been looking for! A short stroll to beautiful ocean beaches from this newer year round 3 bedroom, 2 bath ranch which is in great condition and has a full dry basement and the home is not in the flood zone! Bright and open interior features a large living room with fireplace, spacious dining area with sliders to the deck and patio, sunny kitchen with lots of cabinets, a master bedroom with bath and 2 other big bedrooms and bath. There's FHW/gas heat, central air conditioning, whole house generator, hardwood floors, fenced back yard, shed, outside shower, irrigation system, finished room in the basement and lots more. Quiet road south of Route 28 near beautiful beaches on Lewis Bay. Some furniture negotiable. Better hurry on this super sweet year round or second home! DescriptionPlenty of room for the whole family! This large split level home offers over 2000+ sq ft of living space, 3/4 bedrooms, 2 full baths and the potential In-Law set up in the 3+ room finished walkout basement. The Current owners have been approved by the town to use the basement as a family related apartment. Plans are in place and approved by the Health Dept. for a brand new 4 bedroom septic system to be installed. Other features include living room with fireplace, hardwood floors, large corner lot(.64) and newer mechanicals. Easy to show! DescriptionWonderful family home in a great, centrally located neighborhood that abuts the spectacular conservation and cranberry bog walking trails of West Yarmouth. This short, dead end, street is just a few minutes to every local amenity and convenience you could want. The house is a 3 bedroom, 2 ½ bath contemporary ranch with lots of recent, big ticket improvements, including kitchen and laundry appliances, flooring, and two new bathrooms upstairs, plus a brand-new half bath in the gas stove equipped & finished walkout basement , which leads out to a beautiful, grassy, and fully fenced yard. Central A/C and certified Title V system. This house is ready for a happy, new, owner!